VoiceNation's live answering service ensure professionalism and consistency when legal matters call. “VoiceNation is never absent, always consistent, courteous and reliable,” states Mansfield Collins, Law Office of Mansfield Collins. VoiceNation, the industry leader in live answering and virtual receptionist services, is providing exceptional call center solutions to the legal industry, giving law firms the advantage in professionalism. The Law Office of Mansfield Collins, offering legal representation in criminal and civil matters, has benefited from implementing VoiceNation's live receptionist services. The Law Office of Mansfield Collins had specific and detailed phone requirements when outsourcing their calls to a live answering service. The firm needed a solution where all incoming calls could be answered 24 hours a day consistently and professionally. By offering their clients 24/7 phone support, they would increase customer satisfaction and capture all new leads they were previously missing by only offering callers voicemail when they were not available or staff members called in sick. 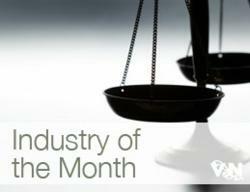 The law firm has seen significant growth since working with VoiceNation. “Because of the consistency in the high level of professionalism by the VoiceNation receptionist, clients are receiving a better experience with our law office and are recommending others,” said Collins. The leading telecommunications company also provides a user-friendly online dashboard the Law Office of Mansfield Collins uses on a daily basis, making it easy to respond to messages and prioritize them. Live answering services provide flexibility and confidence for businesses with specific phone needs. VoiceNation's live operators are trained specifically in a variety of industries and act as an extension of the company, screening calls, taking messages, transferring leads, and more. VoiceNation, America's telecommunications leader in live answering and virtual receptionist services opened their Next Generation call centers in 2009. Founded by President Jay Reeder, the company has grown to serve more than 40,000 customers including FEMA, Blue Cross/Blue Shield, Dell, AIG and the U.S. Coast Guard. They leverage the very latest in proprietary technology solutions in order to deliver quality call answering services at the lowest cost to their customers. To learn more about VoiceNation Live and their services, please visit http://www.qualityansweringservice.com/.